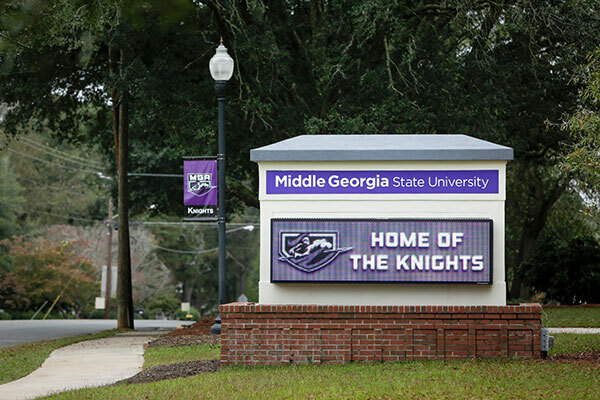 This fall, more Hawkinsville High School students will get a chance to dually enroll at Middle Georgia State University. Hawkinsville High, in Pulaski County, appears to be the only school in the area to receive a Georgia Student Finance Commission grant to help provide transportation to college campuses for students participating in the state's Move On When Ready program. Amy Black, Hawkinsville High guidance counselor, prepared the grant application. The state awarded $54,000 to pay for fuel, insurance and the use of a Pulaski County school bus for the 2016-17 year. Black will provide transportation for Hawkinsville High students to Middle Georgia State's Cochran Campus for classes several days a week throughout the academic year. Pulaski County will continue to provide transportation to students dually enrolled at Central Georgia Technical College's Workforce Development Center in Hawkinsville. "This year we have 25 students taking dual-enrollment classes on the Middle Georgia State Cochran Campus," Black said. "Right now, I have 34 students signed up for fall 2016. I anticipate enrollment to increase even more now that we can offer transportation." Move On When Ready is Georgia's dual-enrollment program that allows high school students to earn college credit while working on their high school diplomas. Move On When Ready replaced Accel, HOPE Grant for dual enrollment and other earlier programs. The new Move On When Ready program covers tuition, mandatory fees and required textbooks. Just recently, the program was expanded to pay for college courses that eligible high school students can take during summer semesters. In the past, Georgia high school students taking college courses through dual-enrollment programs typically had to drive themselves or find somebody to drive them to other campuses. The recent state legislation that consolidated all dual-enrollment programs into Move On When Ready set aside money for travel grants to help students for whom transportation might be an issue. Bruce Applewhite, Middle Georgia State's enrollment services coordinator based on the Warner Robins Campus, praised Black for her initiative in preparing the grant application. "More of the students at her school will be able to start college courses practically for free," he said. "Everybody benefits - Hawkinsville High School and Middle Georgia State." Students interested in Move On When Ready should see their high school counselors and visit GAcollege411.org.